BabyBlueOnline: May the 4th be with you! To all of us who stood on line on this date to see the premier of the latest Star Wars film, we remember. 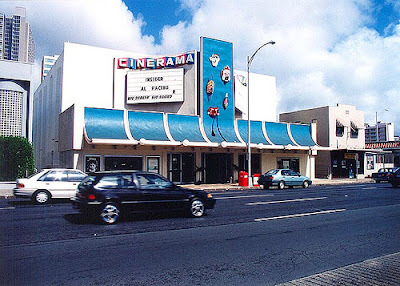 Star Wars opened and play at the Cinerama for a year in Honolulu when I was in high school (and it turns out a certain President of the United States was also known to head down to the Cinerama to see Star Wars that year in Waikiki). Hawaii is a great place to grow up, but on cloudy days there is only so much one can do - go hang out at Ala Moana Shopping Center or go see Star Wars at the Cinerama. The old Cinerama Theatre in Honolulu. When Empire Strikes Back came out I was a freshman in college and stood with friends in line for six hours at Springfield Mall in Virginia. No Fandango then! In fact, that first showing - before internet spoilers could even be thought of - was one of the most memorable moments I've ever had seen a film. The other was a Sneak Preview of When Harry Met Sally. When we learn who Luke Skywalker's father is when Darth Vader utters that memorable line, everyone in the theatre screamed - really screamed. Yes, including all the teenage boys. Springfield Mall in Springfield, Virginia. 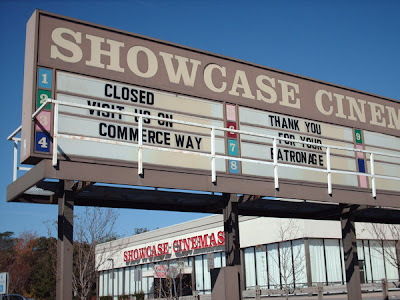 By the time Return of the Jedi came out I was in my last year of college and yes, stood in line on this day at the local multiplex (no stadium seating yet) outside Providence, Rhode Island at the Showcase Cinemas in Seekonk, Massachusetts. I remember I loved Wicket the Ewok and got a plushy one which I still have to this day. Showcase Cinemas in Seekonk, Massachusetts. By the time the prequels came out, we were still lining up at the local multiplexes and swapping theories in line and trying to remember where we put our vintage lightsabers and Darth Vader helmets. A new generation born when Star Wars first debuted were now standing in line with us. Star Wars was no longer just a blockbuster series of films (oh remember the scorn of the learned film snobs as teenagers flooded back in the movie houses) but now was totally immersed into our cultural and even political folklore. And standing again in line on this date for the next three more films, we too echoed the same greeting as we held our tickets and waited to get into the Uptown on Connecticut Avenue in DC, indeed, "May the 4th be with you." 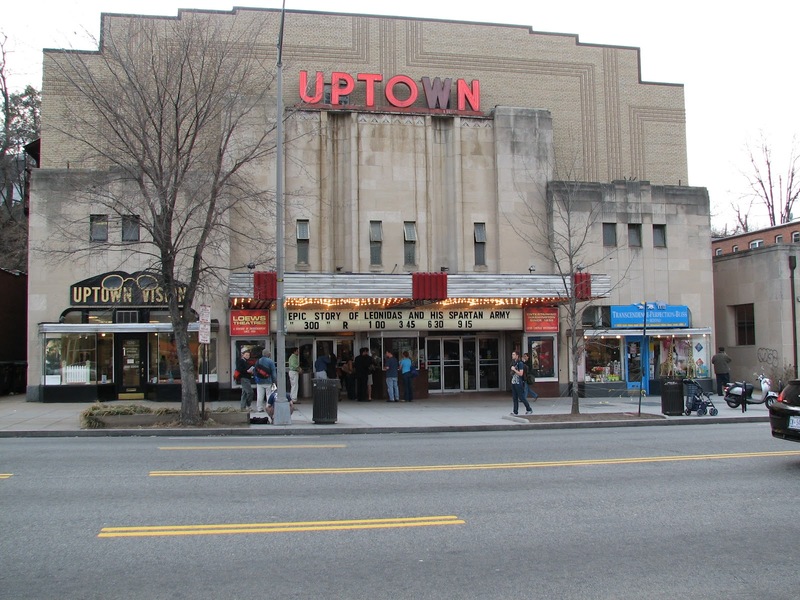 Uptown Theatre in Washington, D.C. This is my favorite moment in all the Star Wars films. Montages of all six films - enjoy! D'you see this in today's Guardian? Oh my! Thank you for the link. One of the things I remember standing out when Star Wars first came out was that it was quite a contrast to the - at best - agnostic 1970s. In some ways if God or any kind of higher power was referred to in literature or film it was much or akin to the billboard eyes we see in The Great Gatsby. Maybe there is Something More, maybe there isn't but it really didn't matter. Star Wars opened up to young people a way to begin to express that search for Something More, that there was Good and Evil, and evil wasn't just all misunderstood, but really evil, and there was Something More. As the films developed, Lucas' own mythology developed as well and was integrated into the Star Wars narrative. But in the first film it left far more mystery and for those of us in my Hawaii youth group - it was totally cool. That composite "trailer" was good. It almost made me want to go sit through the prequels again... or, perhaps not. Wow, this is freaky! My dad was stationed at Hickam AFB in 1977, and I saw STAR WARS at that theatre when I was 9 years old! 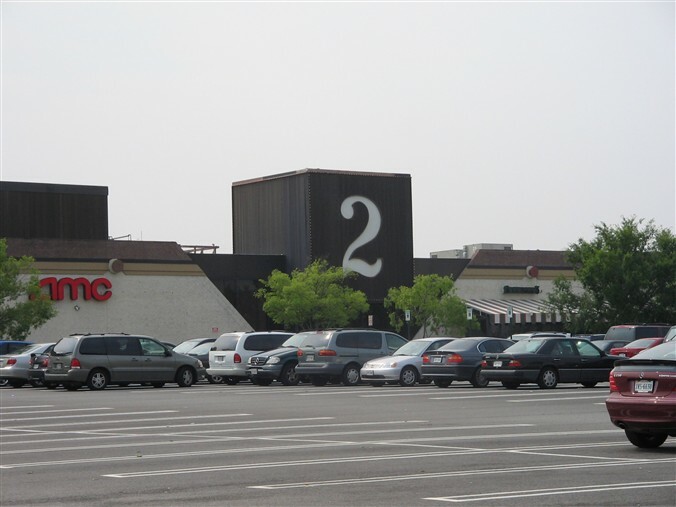 By 1980 we moved to Virginia... where I saw EMPIRE opening weekend at the Springfield Mall! We waiting in line for several hours also, in part because the first show of the morning was cancelled for some reason. There was a revolt in the line, so the management let the first 100 people in free.